Mankind’s curiosity and thirst for knowledge, discovery and a deep desire to leave a footprint have pushed our frontiers to outer space. The neuroArm neurosurgical robot germinated from a quest to help patients with neurosurgical disease, returns space R&D back to earth! By merging advanced space robotics of Macdonald Dettwiler & Assoc. 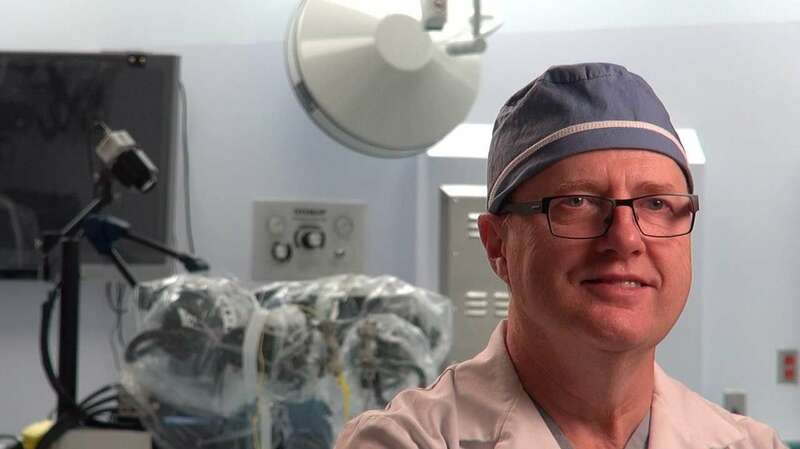 (MDA, Brampton ON) with University of Calgary led innovation, Dr. Garnette Sutherland, Professor of Neurosurgery, made it possible to operate on the brain using a tele-capable robot! The motivation: A precise and accurate machine helping surgeons operate within an MR imaging environment. Since its launch in 2008, neuroArm continues to be used at the Foothills Medical Centre, Calgary AB, making Calgary not only home to world’s first MR compatible robot for brain surgery, but also a cordial host to curious surgeons, scientists and industry worldwide, travelling to witness this Canadian ingenuity in action and continue the innovation cycle! Dr. Garnette Sutherland, Professor of Neurosurgery and Lead – Project neuroArm, University of Calgary, is well known to technology creation, particularly image-guided robotics. In a field where patient care takes centre stage, he continues to collaborate across disciplines and specialties, to translate his innovative ideas to the operating room. Following on the success of the ceiling-mounted intra-operative MRI system based on a high field moveable magnet, Dr. Sutherland asked the question “can surgery be performed within the MR environment while patient images are being acquired…?” Similar to outer space, a high field MR environment is a hostile space where, in addition to seamlessly executing the operation, patient and staff safety demands highest priority! The idea of siting a robot in this environment, controlled by the surgeon now relocated to an adjacent workstation, provided the solution! 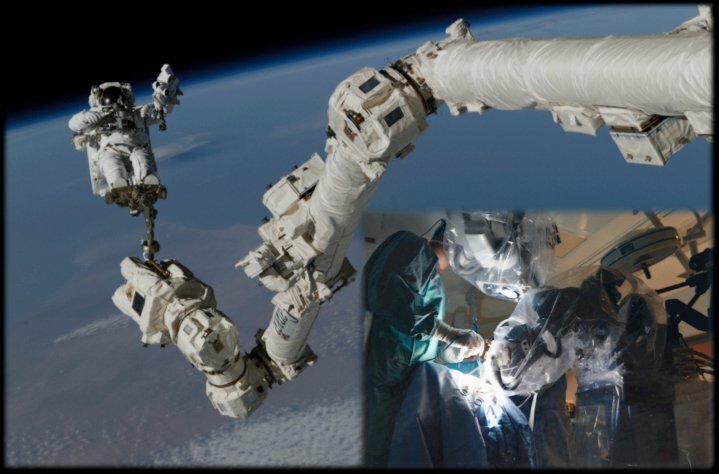 Space engineering from MDA was tasked to take the challenge of product development, and neuroArm, an offspring of Canadarm and Dextre, was born! Concept, materials and engineering principles of space robotics were applied to neuroArm, such that desired high precision, accuracy, safety/no-go zones, were realized. The system, first and only in the world, has showcased globally, the nuances and integration of advanced robotics into the operating rooms. Project neuroArm is presently developing the neuroArmPLUS system, a 3rd generation neuroArm (2nd being SYMBIS), a compact, economic, efficient and smart surgical robot that incorporates advanced augmented reality and machine learning. Another project, the Robot-Assisted Space Telemetry (RAST), aims to improve astronaut health through a similar telerobotic platform.